A lot has evolved on the recycling front, since I started this journey last year, and I thought I’d collect together the key info here for reference. Basically, what we can recycle is increasing, but is still not everything. By all means reduce the single-use plastic you buy to begin with, please. But if you must have it, recycle it! As of February 2019, Nuneaton & Bedworth recycling is now being collected by Coventry City Council, and plastic waste is being process by HW Martin Waste Ltd. 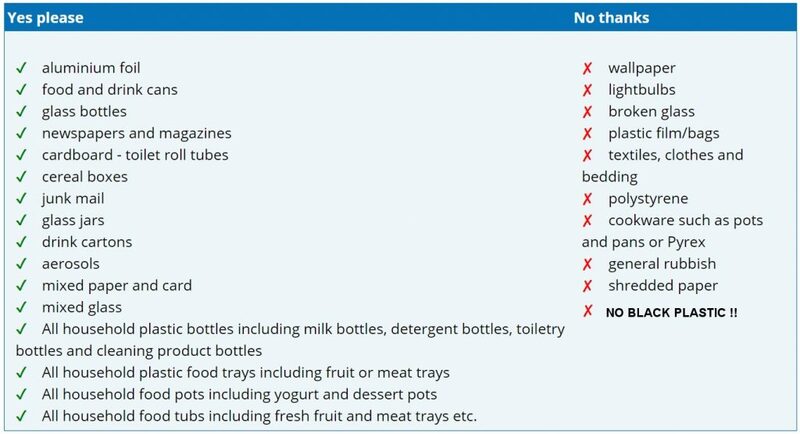 This means there is a longer list of plastics we can recycle in the kerbside collection. The article gives list list of additions, but the Coventry recycling page gives a more comprehensive list if you can’t remember what it is you used to be able to recycle. Notice no one mentions bottle tops any more? But bottle tops have become a major waste issue around here because N&B used to say they couldn’t take them. And hence they ended in landfill unless you were lucky enough to find someone collecting them. We have no issues with receiving the containers with the lids on, where possible could you squash the plastic bottles and place the lids back on. [Regarding bottle tops without bottles:] If it’s possible can you put them in your [recycling] wheelie bins please, we will then receive and recycle them. 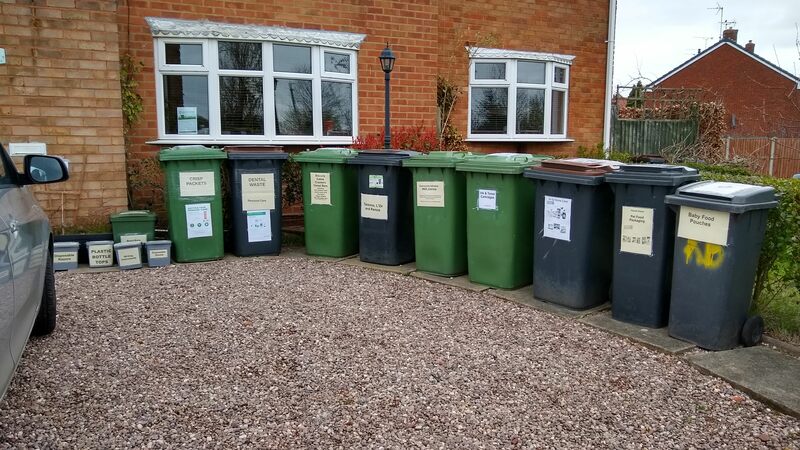 We don’t do the kerbside collections, that is undertaken by Coventry City Council. It might be best to filter them in gradually (or out in several wheelie bins) so that the collection crews don’t start getting confused. I’m sorry but we don’t have anyone local otherwise I could have arranged for the lids to be collected. So, don’t put your lids in the bin, and don’t give them to me. Flatten your bottles after rinsing, and then put the lid back on. I’m spreading the word, and I will phone the council again and let them know what they should be telling people! Headline: a LOT more can be recycled than just what the bin men take! But PLEASE don’t just take a bag of rubbish for them to sort through – make sure you have already got it CLEAN, dry and sorted. No polystyrene or cling film at all, and plastic bags & wraps go to supermarket recycle points. They don’t take anything you can put in your own brown-lidded bin. Why not become a collection point for your friends’ crisp packets and biscuit wrappers, and take turns making the occasional trip to Nuneaton? Stretchy plastic wraps can go to carrier bag recycling points in supermarkets. Do not bring it to me.